Robb Bagnall will handle the North and South Carolina territories as well as Eastern Tennessee and Eastern Georgia. He brings 22 years of industry experience, including ten years in retail, seven years as the owner of his own shop in Wilmington, and five years as a sales representative. He spent three years as the President of SMS. Scott Hochmuth will cover Central and Western Georgia and Tennessee as well as Alabama and Mississippi for Wet Sounds. 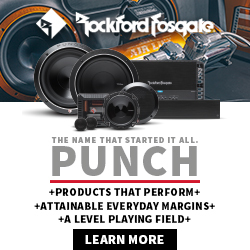 Hochmuth entered the car audio business in 1982 and the powersports business in 1989, giving him several decades in both industries. He opened Real Performance Marketing at the beginning of 2016 with a focus on powersports vehicles, which then expanded to powersports audio. Toby and Scott are an asset to the Wet Sounds family an have already proven they will be important in raising the visibility and growth of our brand! All of us at Wet Sounds feel fortunate to have Real Performance Marketing as our Southeast partner! I´m from Argentina, Wet sounds can export?